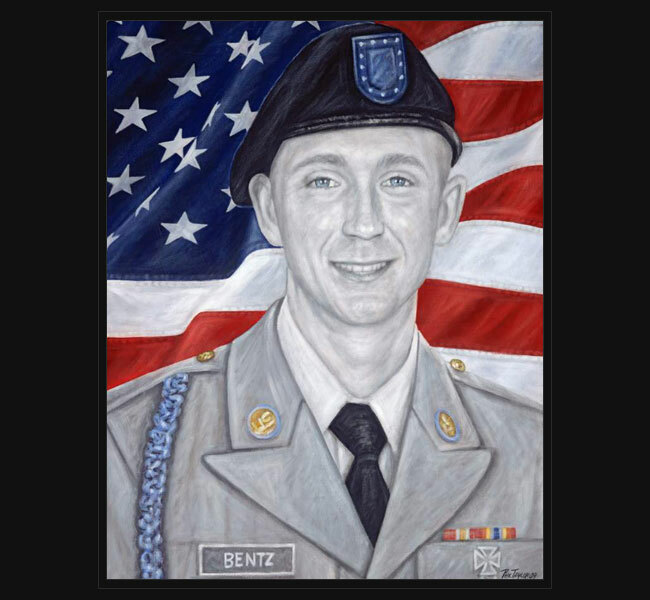 Army PFC David “DJ” Bentz, III died June 20, 2007 of wounds sustained when an improvised explosive device detonated near his vehicle in Baghdad, Iraq. Also killed were MAJ Sid W. Brookshire, SSG Darren P. Hubbell, and SPC Joe G. Charfauros, Jr.
David, who went by the name DJ, is remembered by friends and family as a courteous, sweet man who knew how to put his dedication where it counted. DJ, who lived with his father, David, and stepmother, Bernadette, joined the Army in 2006 and took basic training at Fort Benning, Georgia. He was a 2004 graduate of Clayton High School where he was a dedicated soccer player all four years. Bernadette described her stepson as ‘happy-go-lucky, bright and charming.’ “He wasn’t rambunctious,” said Daniel Antonelli, his assistant principal and soccer coach. “He was on the quiet side. But out there on the field, he was tenacious. He’d get all over the place. I know he would have fought for his country the same way.” DJ studied law enforcement while in high school, and grew up very much the protector of his two younger sisters, Gabrielle and Brianna. He loved to play poker and dreamed of becoming a professional card player when he got out of the Army.